If you are visiting Ibiza for your summer vacation 2017 you will surely do it! Sitting, waiting for sunset. 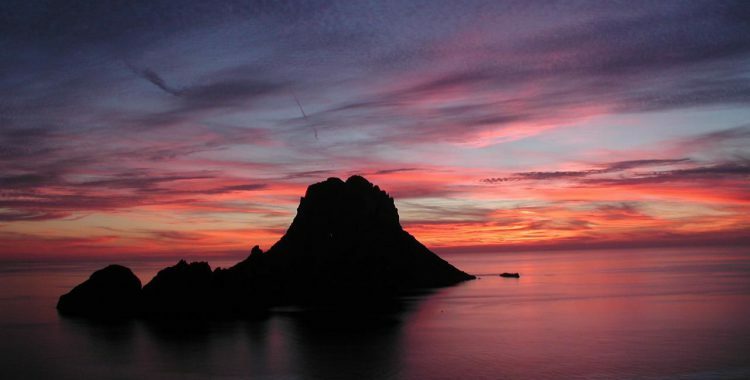 Whether its Benirras with its drummers, San Antonio sunset strip, or watching the sun setting over ibiza”s old town, Dalt Villa, there is something so magical about Ibiza Sunsets, that it has to be on your bucket list. Sitting in Benirras, San Antonio Bay or oposite Es Vedra, the magic rock, The stage is set for what you might call the opening act of your vacation. We are sure its something you will remember as it truly is an important part of the magic of Ibiza. The skies over Ibiza produce this spectacle regularly. Its truly Glorious and the white isle is displaying a unicorn fantasy array of colors. Settle down and watch the magic unfold from one of these spots, and enjoy: Benirras Beach – Cala Conta – Cala D’ort (views to Es Vedra) . Looking for your Ibiza Holiday Rental Villa? If you don’t find what you want during your visit, please e-mail Julia@Ibizavillasdirect.com – we have lots of licensed properties that may not appear on the site, but correspond perfectly to your holiday wishes.